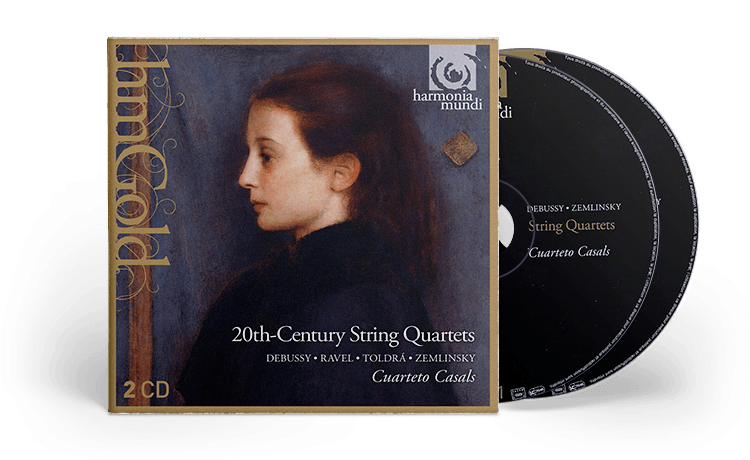 This two-CD reissue in harmonia mundi's hmGold series brings together two recordings of 2004 and 2006 in which the Cuarteto Casals opportunely demonstrated the links between figures as different as Turina, Ravel, Debussy and Zemlinsky. The resulting cultural exchanges in this music from the turn of the twentieth century bring out quotations, distant echoes, resemblances and perhaps even conscious homages circulating between Vienna, Paris and Madrid. These titles were released for the first time in 2004 and 2006. Eduard Toldrà "Vistes al mar"